Johnny Depp was a “monster” who repeatedly beat his ex-wife Amber Heard. During a series of drug-full attacks before and during their marriage, new court documents claim. The US actress alleged Depp, 55, left her fearing for her life after he chokes her. 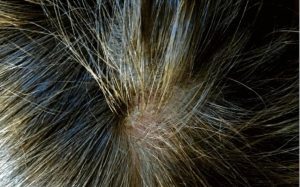 And rips chunks out of her hair in more than a dozen violent altercations. The bitter divorce was finalised in January 2017 amid highly publicised claims of domestic violence and counter-claims of financial blackmail. On Thursday, Heard asked a judge to dismiss a $50m (£38m) defamation case filed against her by Depp. The 55-year-old is suing Heard over a 2018 op-ed she wrote in The Washington Post in which she described being a victim of domestic abuse but did not name Depp or describe any incidents. The details emerge as Heard, 32, asked a judge to dismiss a $50 million defame lawsuit file by Depp over an article. She wrote in The Washington Post in December claimed to be a victim of domestic violence. In the motion filed in a court in Virginia, Heard describes in extraordinary new detail. How Depp repeatedly slaps, shove, chokes and pull her hair before and during their two-year marriage, According to page six. Photographs showing Heard with bruises on her face and scars on her arms. 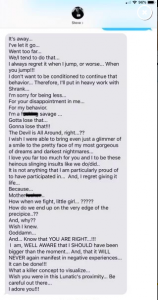 As well as new release screenshots of text messages describing the incidents were producing as exhibits. 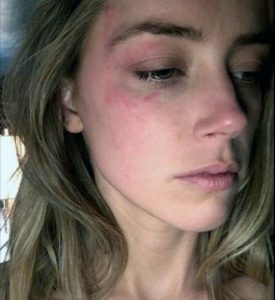 Amber Heard shows bruises she claims were inflict by Johnny Depp. Depp has denied any such abuse. The couple married in February 2015 and divorced in January 2017. Heard claimed Depp began abusing drugs and alcohol about a year into their relationship. After they began dating in 2012, which led him to become a “totally different person”.”We called that version of Johnny, ‘the Monster’”, the documents state. In May 2014, she claimed Depp kick her in the back. And threw his boot at her on a private jet. While drunk as the couple flew from Boston to Los Angeles. After he became upset over a romantic scene she filmed with actor James Franco the day previously. She added Depp taunt her by shouting “James Franco” towards her and scream obscenities in the jet’s toilet until he passes out. In March 2015, a month into their marriage, Heard alleged Depp physically abuse her as he embarks on a three-day ecstasy binge in Australia. Heard said during an argument over his drug taking, Depp slaps her and shove her to the ground before she locks herself in a bedroom. The next morning, she claims she found Depp drinking after he stays up all night and took about eight MDMA pills. Heard claim her ex-husband chokes her, spat in her face. Threw glass unopen glass bottles at her and push her into a ping-pong table. The 32-year-old said Depp also tore off her nightgown leaving her “naked and barefoot, cover in alcohol and glass”. Heard admitted she punched Depp for “the only time” in the same month over fears. The Pirates of the Caribbean actor would push her younger sister Whitney down the stairs at his home in Los Angeles. According to the court motion, in December 2015, Depp allegedly “pulled large chunks of hair and scalp” from Heard’s head during an argument at their apartment. The documents state: “Johnny picked another fight with me. He threw another decanter at me, knocked items around the room. And punched the wall”He slaps me hard. Grab me by my hair. 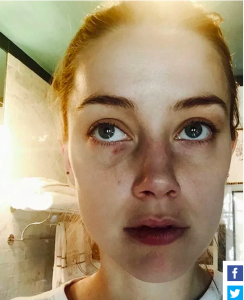 And drag me from a stairwell to the office to the living room to the kitchen to the bedroom and then to the guest room.”Heard’s attorney Eric George said: “Johnny Depp physically and verbally abuse Amber Heard. “He went on to claim: “Since their divorce, Mr Depp has continued to publically harass Ms Heard, and attempt to gaslight the world by denying his abuse.”It is long past time for Mr Depp’s despicable conduct to end.”Depp’s attorney, Adam Waldman, says the new documents were the review. He previously says his client looks forward to providing evidence that would clear his name. The lawsuit alleges Depp suffer financial losses. Including being stood down from his role as Captain Jack Sparrow in the “Pirates of the Caribbean” franchise. Because of accusations published in The Washington Post in which Heard says she was a domestic violence victim. The piece did not mention Depp by name or describe any incidents, but discuss the plight of those who speak out against abuse. But Depp’s lawsuit says it was clear Heard was talking about him. And that it worse the damage the allegations had already done to his career. The lawsuit states Depp, 55, has suffered financial losses because of the accusations, including being a drop from his role as Capt. Jack Sparrow in the Pirates of the Caribbean films. Heard’s lawyers also argue that the lawsuit should move to Los Angeles. Because that’s where the relevant events took place and the court would be in a position to subpoena witnesses and find facts. Heard first accuse Depp of domestic violence in May 2016. The year after they were married. They are divorce in 2017. Next articleBradley Cooper and Irina Shayk Spotted during Enjoying a Romantic date night- See the Pics!